> M. has just completed 3rd grade in a special class. 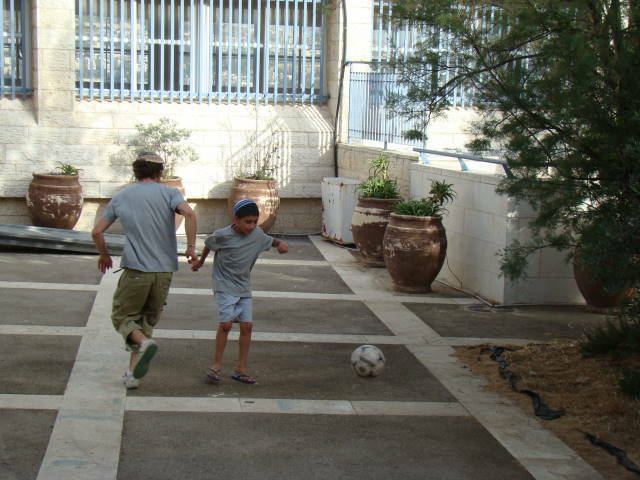 He came to KLASS last year at the suggestion of his aunt who lives in Katamon, although he doesn’t. His aunt, like his mother, is herself illiterate. When he started coming to KLASS, director Judith Bar-Zemer, spoke to his school teacher: he wasn’t doing work in class. It turned out that although he remembered answers, he couldn’t find them in the text when necessary. He also didn’t realize he could skip questions he couldn’t deal with and go on to the next ones. At KLASS he got help with homework, at first for 3 hours a day one-on-one. At the same time, he was taught learning skills, reading skills and classwork skills. As a result, there has been a big improvement and he will be moving into a regular class in the new school year. The KLASS director recently paid him a home visit, and saw that he would need a boost to cope with the text books he would be using in English, so she gave him a computer program to help him improve his vocabulary over the summer holiday. > A pupil who has just finished 1st grade had a serious problem learning to read. He was brought to KLASS by his 8th grade brother, a KLASS ‘graduate’, and his sister who is in 5th grade and comes to KLASS for tutoring in English. 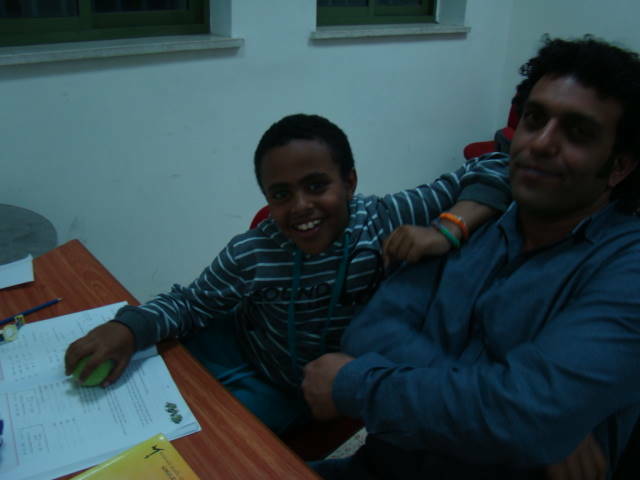 After an assessment session with deputy director Shira Levin, he was assigned to a 9th grade volunteer who was doing his required stint of “personal commitment” at KLASS. Under Shira’s guidance, using short readers with graded spelling, the 1st grader was introduced to the letters and the vowel signs, and by the end of the school year could read at the level of his class. > Shira, who is also a remedial teacher and assessor, worked with a 7th grade student who started coming to KLASS last year. At first his attendance record was poor, but this year there has been a great improvement in his general attitude, and his reading level has caught up about three years in one. when teachers have up to 40 children in a class, and the parents, either because they are recent immigrants, or for some other reason, don’t have the experience, the language or the know-how to navigate the system, or even to know what help is available. > Y., a pupil in 2nd grade, apparently hyperactive, is in special ed, despite seeming very bright, and not having any formal diagnosis. On the basis of experience the KLASS staff feel he needs a neurological examination, which the director is helping the parents to organize. > Another attendee in the 5th grade seemed to the staff at KLASS to need glasses. KLASS director Judith Bar-Zemer arranged for his eyes to be tested, and indeed he now has glasses and can see the board and his books properly. > A 6th grade pupil started missing his lessons at KLASS. The director contacted the family and realized that although the boy had coped well with the birth of a sibling a year and a half ago, now that there is a 4-month old baby as well he is feeling neglected. A home visit will be made to help sort out the situation and get the boy back on track.